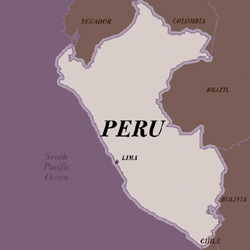 Peruvian Pink Sea Salt comes from an ancient ocean, trapped underground, which feeds a spring located 10,000 feet high in the Andes Mountains in Maras, Peru. The warm spring water seeps into terraced ponds located in the Sacred Valley of the Incas. The ponds, which have been hand-harvested for over 2,000 years, are now owned by individual families, who, after harvesting, load the salt on the backs of burros for the long descent into town. Peruvian Pink Sea Salt is very pale pink and has a rich, complex, minerally flavor. Wonderful on all foods, but particularly salads and vegetables. This Peruvian Pink Salt is fantastic! I've never found it's equal anywhere else, including Himalayan pink salts. The Peruvian has a complex and delightful taste, and I happily use it not just as a finishing salt, but on everything. Not cotton candy pink, very subtle rosiness, though. I'm a super fan and carry it with me in my purse. I was very disappointed in this salt. The picture shows a pink salt. What I received was beige at best or dirty white. There was no trace of pink whatsoever. I have used the Murray River pink salt for years and love it. Part of the reason I buy pink salt is for the color. I would not recommend this salt. We visited the source of this salt when we were in Peru, liked the taste (much more complex than regular table salt), and brought some home. When our supply ran out we looked for a way to get more and found Salt Traders. This is the permanent salt in our salt grinder now!